It is impossible to NOT love Christi, so don’t even try. From the moment she arrived in 1977 in Boise, Idaho, her parents could tell that she was really something special, and they were not proven wrong. Her zest for life was seemingly boundless and she lived each day with an infectious enthusiasm. Being the oldest of four children (three girls and a boy), she easily found her place as a musically talented, athletic, fun-loving girl who made friends readily and hung onto them with a fierce loyalty. She was fortunate enough to find the love of her life and married him in 2000, gaining custody of his young son and taking on the challenges of adulthood with the same determination she seemingly came equipped with in this life. After quickly rising to a position of considerable responsibility in the business world, she weighed her options of professional career and motherhood, and thoughtfully chose the latter. While raising her own two darling boys she was blessed with in 2002 and 2005, she developed many friendships with her “girls” – her posse of close friends, the closest of which were her two sisters. Fun to Christi came in many forms and in many ways, but making every ordinary day something special seemed to come naturally to her. Even though she had many responsibilities as a detailed coordinator of her household activities, there was always time to enjoy everything life had to offer – the holidays (especially Halloween), a glass of wine with her friends, developing her interest in cooking, planning parties, volunteering at the elementary school, writing thank-you cards (which became almost an obsession of hers)! She smothered her nieces and nephews with her own special brand of love – showering them with gifts, hugs, attention and compassion. Her pride in the accomplishments of her siblings was very apparent, as she always offered her unconditional support in their endeavors. She didn’t know how to do something halfhearted – if she did anything, she did it with 100% energy and commitment. If you were turning 50, you got 50 of the best chocolate-chip cookies imaginable. If you were getting married, you would have an unbelievably crazy bachelorette party. If it was any other milestone in your life, there would be a celebration and Christi would be there with her party hat on. 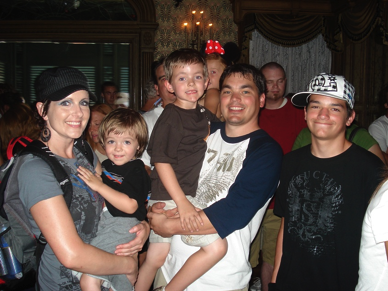 Christi was diagnosed with a rare form of breast cancer in 2007 after finding a lump in her right breast. Her gynecologist had recently missed this lump on a routine annual exam. At age 30, who would expect a beautiful young wife and mother of three to have breast cancer? She immediately had a double mastectomy, chemotherapy, radiation and genetic testing (which was negative for any hereditary links to breast cancer). 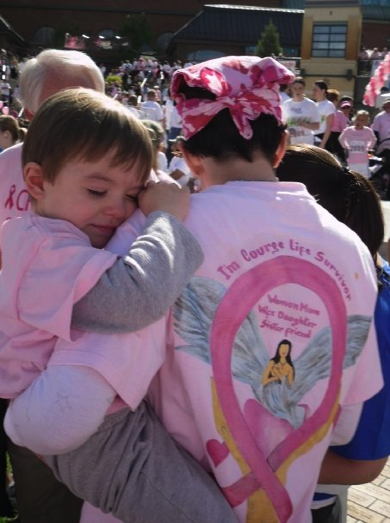 She was able to complete the Race for the Cure in Salt Lake City in 2008 and 2009 with a huge team of supporters that will go on forever – Christi’s Rack Pack. Not surprisingly, she found the energy to walk the Denver 3-day with her friend, Debbie, from Evanston in August of 2009. This involved walking 20 miles a day for three days straight. Little did we know that her cancer had returned, and with a vengeance. 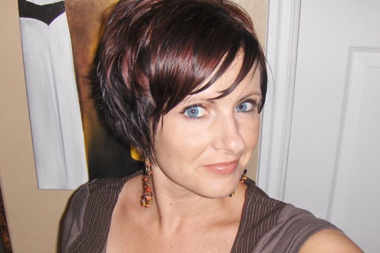 Tragically, Christi lost her battle with breast cancer on February 7, 2010. It would be her fervent desire that we, as family members, form this foundation. She would say to all of you young women out there – CHECK YOUR BOOBIES! You are not too young to think about that. Eat healthy, live healthy, get some exercise, love passionately and completely. Family is everything – pay attention to them. Let gratitude fill your heart each day until it spills over to the people around you. Don’t ever get so bogged down by your responsibilities that you forget how to have fun. Face your challenges head-on with strength and determination. We now have a beautiful angel watching over us all and we see signs of her love for us in so many ways – in her wonderful husband, her beautiful children, a rainbow, a ribbon, a hug, a song. We are better people for having Christi in our lives. We love her so much!